Do not adjust your screen. Objects on monitor are as they appear. Welcome to 2120 Loma Vista Place, a.k.a. 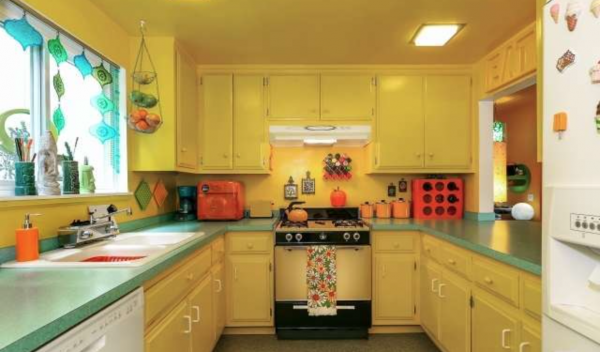 Barbie’s Dream House (circa 1970’s). Now–before getting all judgmental–just remember there is something to be a said about making a house your own. 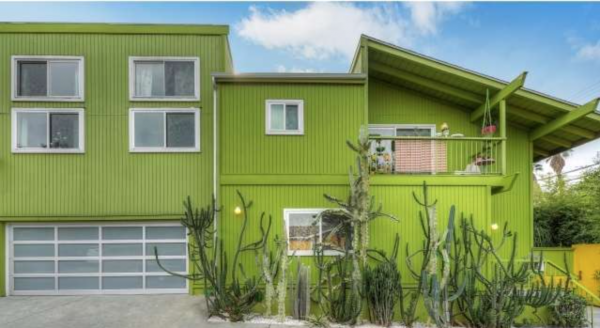 With an asking price of $729,000 for this 3 bedroom, 2.5 bath home, and over 1,600 square feet, these shaggadelic digs offer a ton of home for what the market is offering these days. 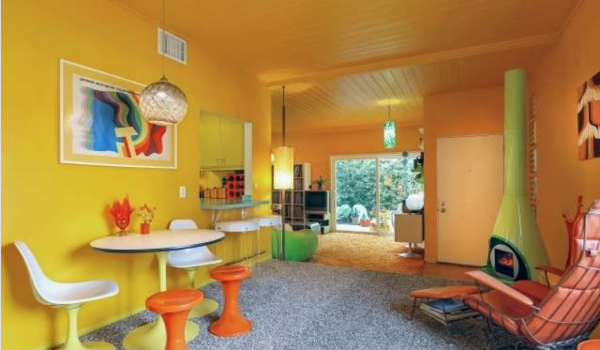 The term “retro design” doesn’t really do this home justice. 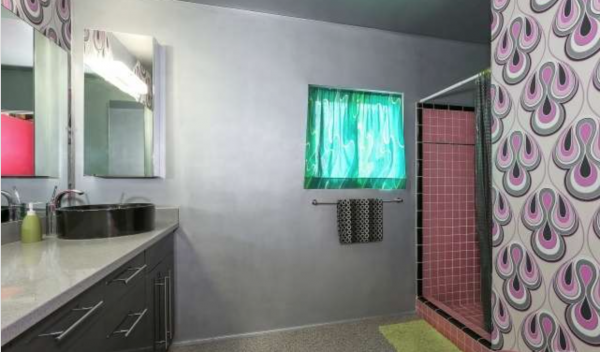 “Time capsule” might be more accurate, but worry not as it’s been updated with a newer roof, electrical, water heater, HVAC, and dual pane windows. 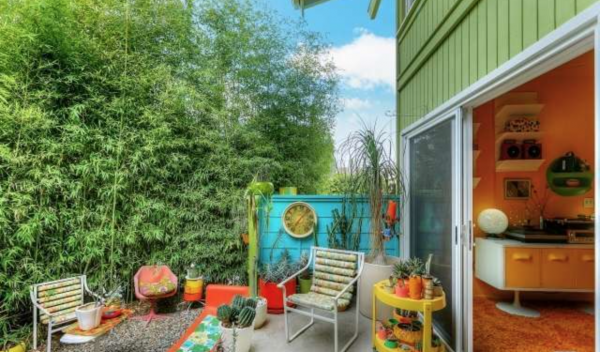 All of it is perfect for keeping things just right… while hosting groovy key parties. 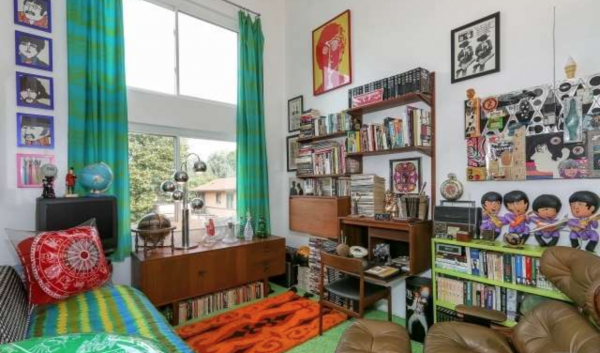 If you’re going to be this eclectic, you have to commit–and boy–did they ever! 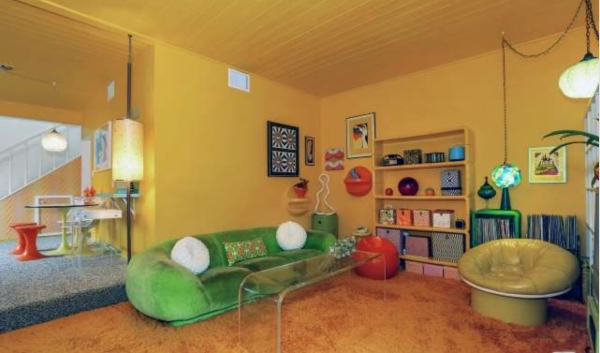 If you’re wondering if one room will be somewhat normal, you’re looking in the wrong place. 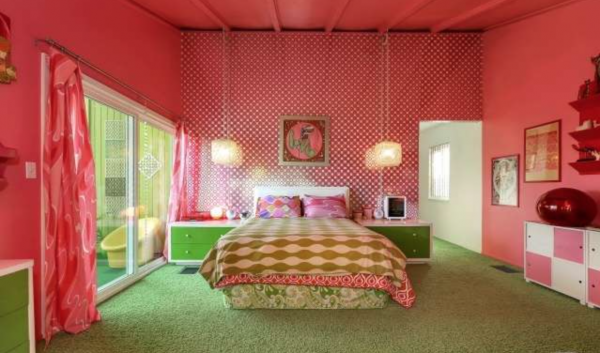 The master bedroom, with design elements falling somewhere between Austin Powers and Elle Woods, is large with vaulted ceilings and a well-sized balcony off of it. Green shag carpet is everywhere upstairs, including the two guest bedrooms. 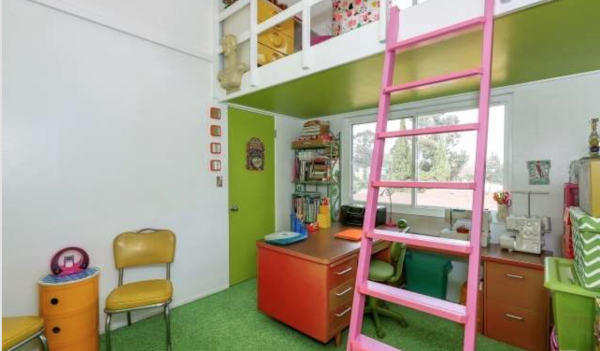 No matter your thoughts on design, the addition of a loft space is an excellent way to add usable footage to any room, and this is a little bonus we can appreciate. 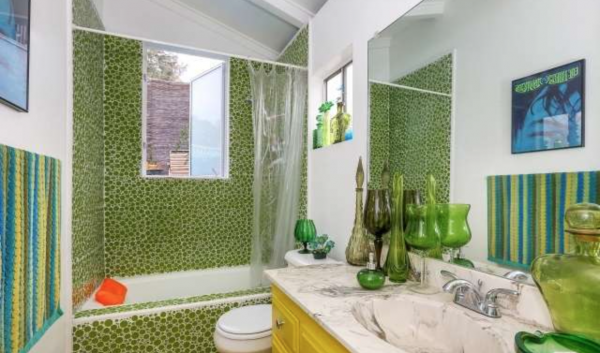 If you think these design elements were reserved solely for the interior of the home, you would be wrong. 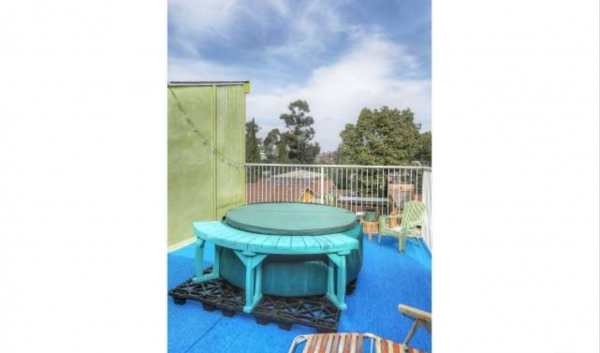 With a well-sized outdoor patio kept private thanks to some healthy bamboo and a roof top deck with hot tub (come on, you knew this place had to have a hot tub — sadly not of the “Time Machine” variety), the antics continue outdoors as well. I must admit I’m torn. Part of me feels that, with the proper updating, this could be one hell of a beautiful contemporary home. But the other part truly appreciates the heart, soul, and funk that went into putting all of this together. It would be a shame to see it re-designed and painted over.